Stand Up represents the first album project on which Anderson was in full control of the music and lyrics. It also marks the first appearance of guitarist Martin Barre, who appeared on every JT album from this point on. Tull’s initial musical approach was torn between Mick Abrahams’ blues vision and Ian Anderson’s more unique approach. When Abrahams left, his replacement Martin Barre became the key player in Tull’s move towards a more progressive style. 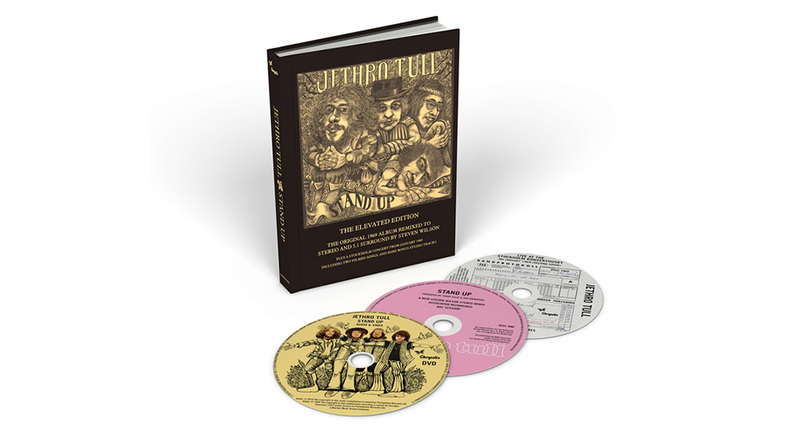 A 2016 2cd/1dvd ‘Elevated Edition’ of Jethro Tull’s brilliant 1969 sophomore release featuring stereo and 5.1 mixes by Steven Wilson. * Original album and bonus tracks (including a previously unreleased Bouree) mixed in 5.1 surround and stereo by Steven Wilson. * 96/24 flat transfer of the original stereo master tapes, and the original mono and stereo mixes of Living In The Past and Driving Song. * Video of the band performing two songs live in January 1969. * Presented in the ‘book set’ format of the recent JT reissues. * A 112-page booklet with an extensive history of the album, track-by-track annotations by Ian Anderson, and rare and unseen photographs. * The original album’s iconic pop-up artwork designed by James Grashow. The first disc features Steven Wilson’s stereo mixes of the original album, four songs recorded at the BBC, single mixes for Living In The Past and Driving Song and more. 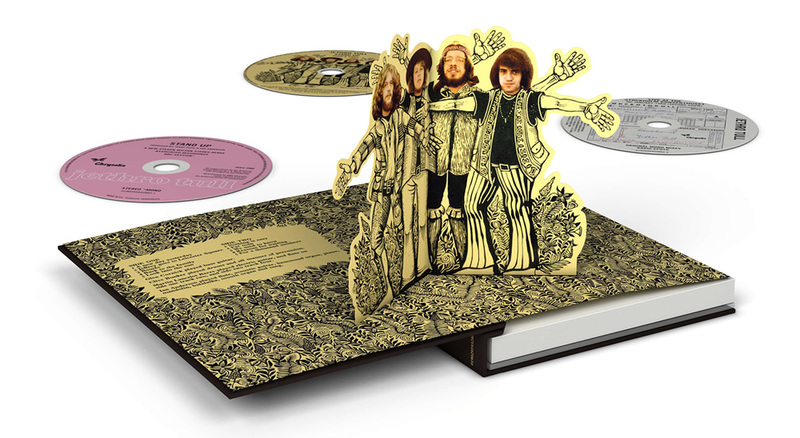 The second disc captures Jethro Tull performing live in Sweden, where the band opened for Jimi Hendrix in January 1969. Recorded only a few weeks after Martin Barre joined the band, the concert includes songs from the band’s debut in addition to two songs destined for Stand Up. Rounding out the disc are mono single mixes of Living In The Past and Driving Song, plus two radio spots promoting the album. The DVD includes concert footage of the band performing To Be Sad Is A Mad Way To Be and Back To The Family. The recording sessions for this album started in April ’69. One month later, the band scored their first U.K. hit with “Living In The Past,” which charted at #3 (included in the remastered release).. Starting with “Stand Up,” the band’s use of dynamics, Celtic Folk, and classically-oriented tonal structures, along with Ian Anderson’s flute playing and songwriting, became Jethro Tull’s signature. Simply put, “Stand Up” was the genesis of Tull’s sound and, not surprisingly, is one of Anderson’s favorite Tull records. 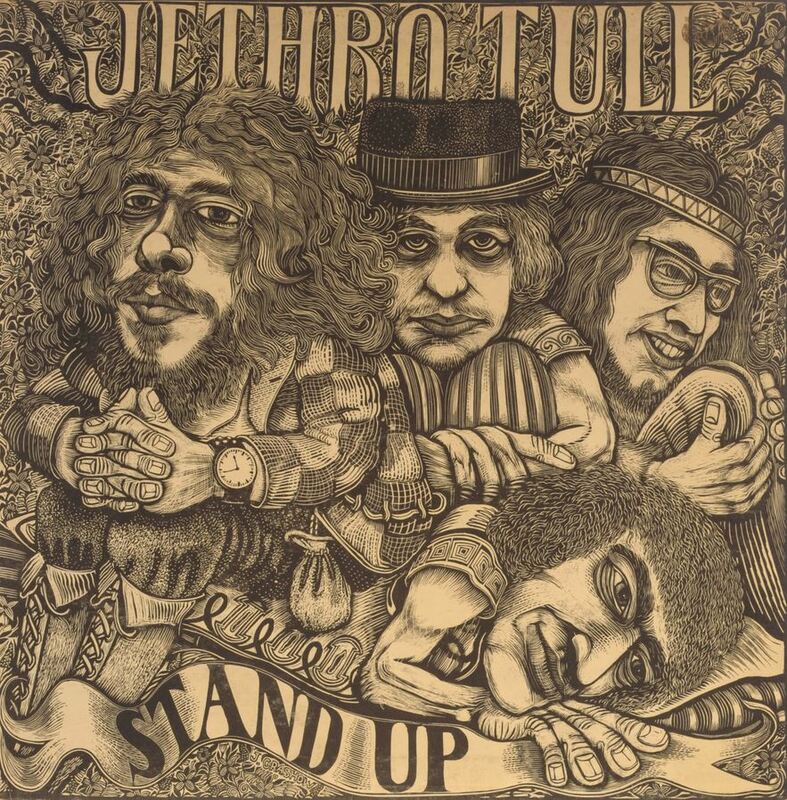 Reflecting back, “Stand Up” seems an obvious career turn but at its release, the reality was Tull risked a great deal. The turn from the blue-orientated approach displeased important Tull radio and promoter connections. “A New Day Yesterday” is almost a holdover from “This Was” with its blues-stylings while “Nothing is Easy,” common in concert sets, is a blues-jazz fusion. “Bouree,” a “cocktail jazz” (Ian’s words) rework of a J.S. Bach classical piece, would become a Tull classic and an almost must for any concert set. 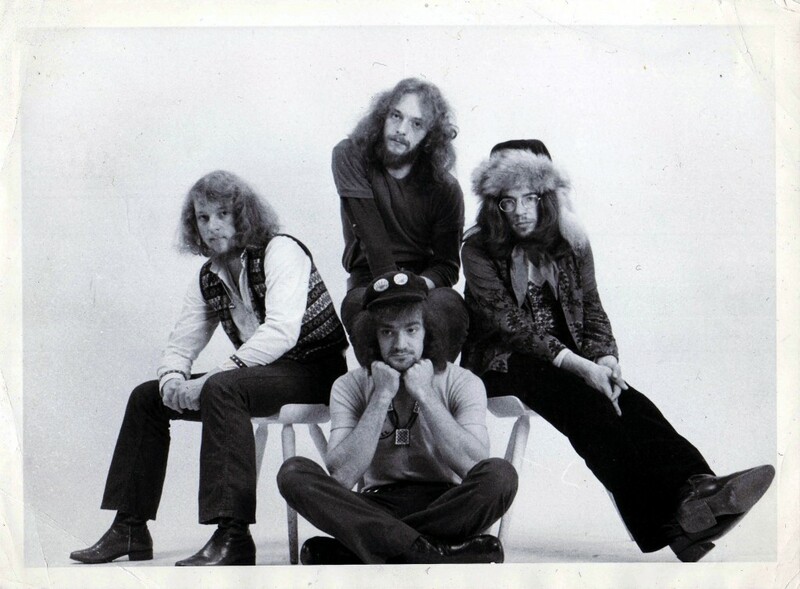 Many Tull fans presume Far Eastern influences on the band’s music begin with Anderson’s solo album “Divinities.” Yet, traces can be found in “Fat Man” (sometimes considered a jab at departed guitarist Mick Abrahams) and “Jeffrey Goes to Leicester Square,” one of three Tull songs devoted to Ian’s boyhood friend Jeffrey Hammond who would later join the band. While hardly a “concept” album, lyrically the album devotes a lot to Anderson’s relationship with his parents (a subject continued on “Benefit”) and coping with new found pop stardom.